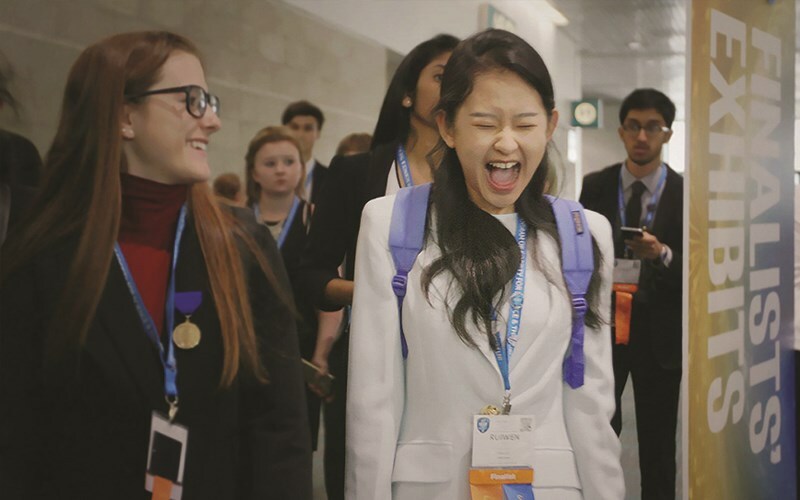 Nine high school students from disparate concerns of the globe navigate rivalries, setbacks, and hormones on their quest to win the international science fair. Only one can be named "Best in Fair." See the film and then meet local student science fair stars and learn about their projects at FilmScene's Lobby Science Fair! FREE! 2:00PM - FREE! TIX AT BOX OFFICE 1 HR BEFORE SHOW! FREE! See the film and then meet the I-C Bots Team! Hailed by critics as "immensely likeable" and "brilliant and quirky," and winner of the audience award at Sundance and SXSW, National Geographic Documentary Films' Science Fair follows nine high school students from around the globe as they navigate rivalries, setbacks and, of course, hormones, on their journey to compete at the International Science and Engineering Fair. As 1,700 of the smartest, quirkiest teens from 78 different countries face off, only one will be named Best in Fair. The film offers a front seat to the victories, defeats and motivations of an incredible group of young men and women who are on a path to change their lives, and the world, through science. Formerly a FIRST Lego League team, this group of young inventors proposed a simple solution to lead in high school drinking water fountains. In researching the problem of lead in drinking water, the team discovered that it is common for water in drinking fountains to test high for lead, which is harmful to the developing brains and bodies of young children. The team developed an innovative solution of adding a mounted filter system to the top of water fountains. It is installed simply by removing the water fountain tap and screwing in a lead filter system. This drinking fountain mounted filter system is patent pending, and the team continues to develop this solution for commercial use.